This Bastinelli Creations Cal Persian is a stylish fixed blade! 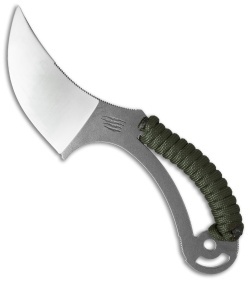 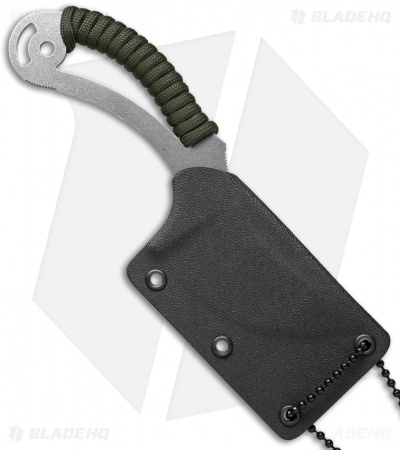 It has a full-flat ground satin blade and unfinished, textured skeletonized handle with OD green cord wrap. The knife is quite comfortable and secure in hand. The included Kydex sheath has a neck cord, so it's ready for carry.